How quick is this year going guys? It’s August already, before we know it, it’ll be Christmas. Actually we don’t even want to think about that just yet!! We haven’t recorded a monthly favourites video since January as we didn’t have time to sit down and film. Since finishing University, we’ve had a lot more time to focus on our blog and YouTube channel and we’ve actually managed to record a July favourites! We’ve purchased a lot of items over the past month, mainly for our trip to America, but we’ve also managed to spare a few pennies to treat ourselves to some other bits. In this video you’ll find items from all different categories, including beauty, fashion and even Disney! Believe it or not, spending isn’t the only thing we did last month. We’ve actually been so much more productive lately and we’ve worked so hard with our blog. 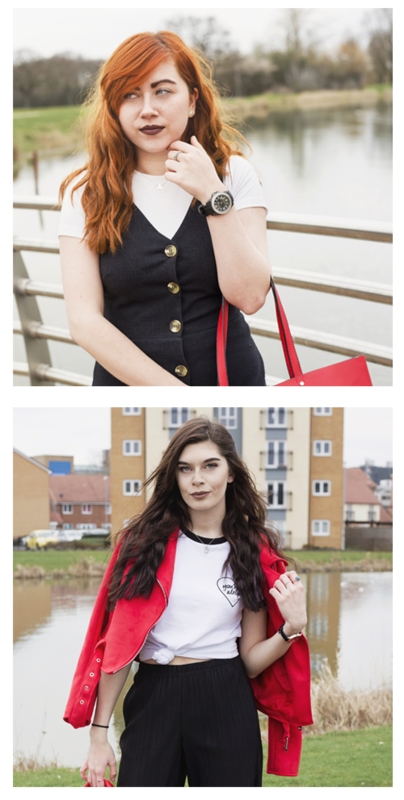 We’ve shot so many outfit photos and even planned out a load of future blog posts. The hard work must be paying off a little since our views have been the best they’ve been in a long time too. Oh and not to forget, last month we got a domain name! Although we can’t believe how quick July went, we’re sure this month will be even better, after all it’s just over two weeks until we fly out to Florida!! What have you been loving lately? We’d love to know! I love the metallic nail varnishes from BarryM, their nail varnishes are sooo affordable! I think I went through a stage where I was collecting them and literally had every single colour in Superdrug!!! I do love a good favourites video! I absolutely love that you have a video to go along with your post! I am obsessed with the nail varnishes, collected them a couple months back and I’m obsessed! Ooh, I want to try the jelly face mask. & the bag & dress is so cute!! Oh awesome! I’ll check it out! This is the first video of yours that I watched and I loved it! 🙂 The Mickey back pack is so cute I love it, Have an amazing time in Florida! !